Another way of discovering our activities is to join our team via work experience. We welcome non-paid students or students with allowances (such as Eurodysseia, L or T trainees) from a variety of fields such as: Marine biology, Environmental & Eco-tourism management, Hotel & Catering trades or Multimedia & Communications. We will also soon be recruiting an Administration Assistant (L Trainee). Trainees are hosted for a minimum of 4 – 5 months. Work experience is the best way to gain a foothold in an establishment, understand what the job entails and why not kick-start a career in an Ecotourism company. A chambermaid position is vacant at the hotel “Whale’s come ao Pico”. Candidates should be confident and at ease handling animations and giving presentations or demonstrations etc. A Guide or Second skipper position is vacant on the Espaço Talassa sea team. 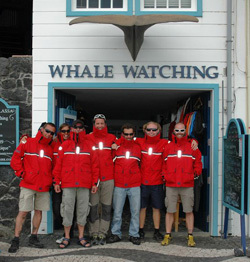 The position consists in briefing and debriefing our clients before and after excursions, and animating the cetacean observation boats. Candidates must be trained in environment or ecology, or marine biology and at ease with giving power-point presentations. A position is vacant to assist the Espaço Talassa’s Lookout. 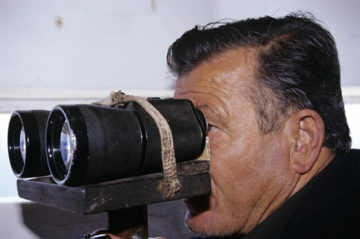 The position consists in locating and identifying cetaceans from the different observation posts on the island (mainly from the watchtower of Queimada) and then orientating the whale watching boats accordingly, by radio. Non Pico residents will be provided with accommodation. Successful candidates must be fluent in English. Fluency in other languages, such as Portuguese, German or French is preferable. Priority will be given to Azorean candidates. Employment in the Azores is governed by the Portuguese labour law, which also applies to foreign employees. Salaries are fixed according to the official Portuguese minimum wage, approximately € 610/month (as per 01/01/2018), and in function to each candidate's experience.